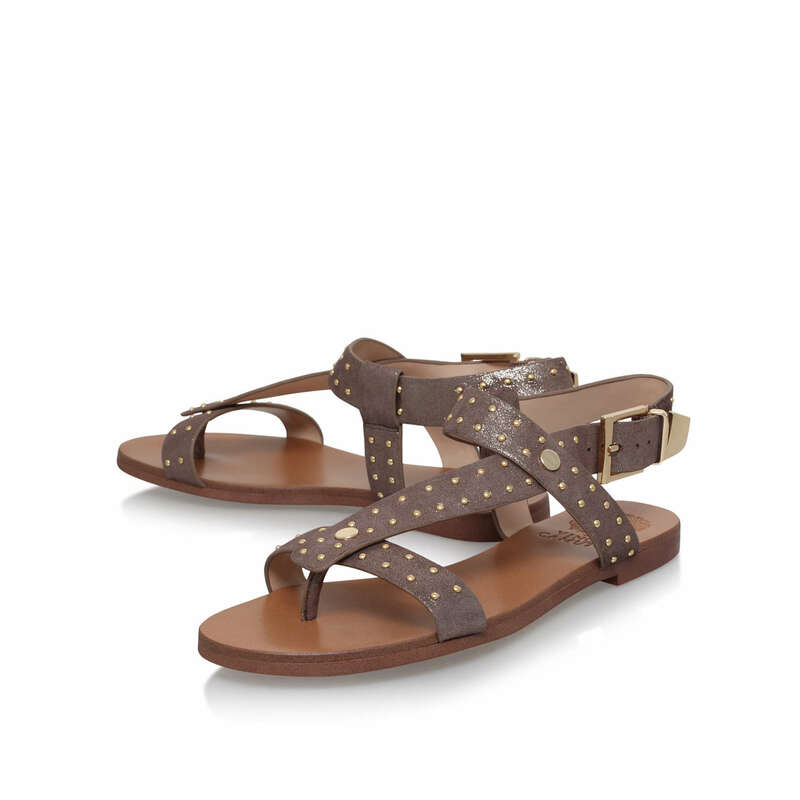 Vince Camuto introduces a stylishly studded style for the new season. 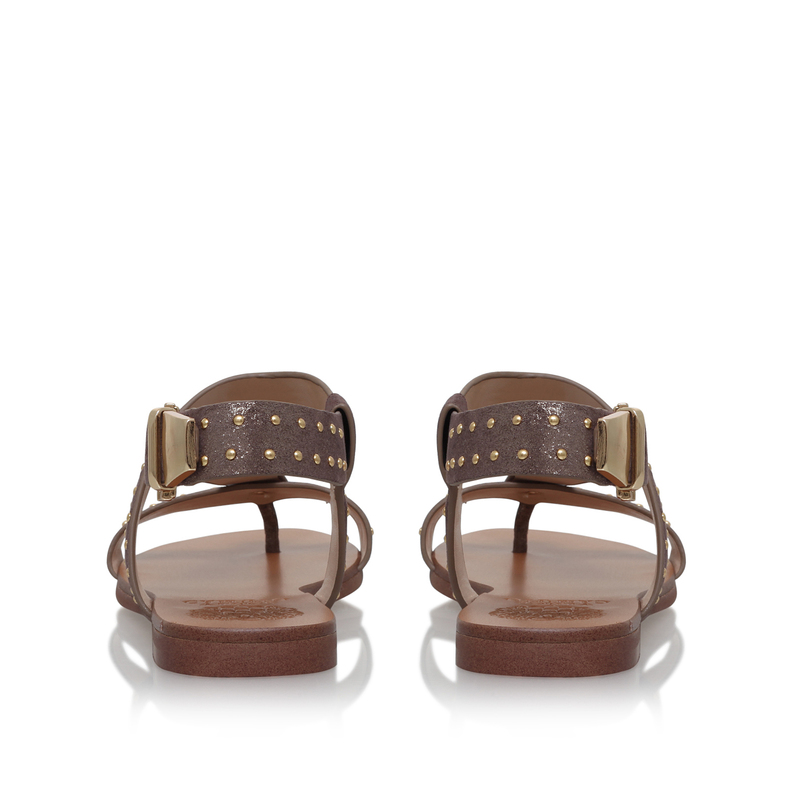 Meet Ridal, a bronze sandal punctuated with gold-toned hardware at the straps. 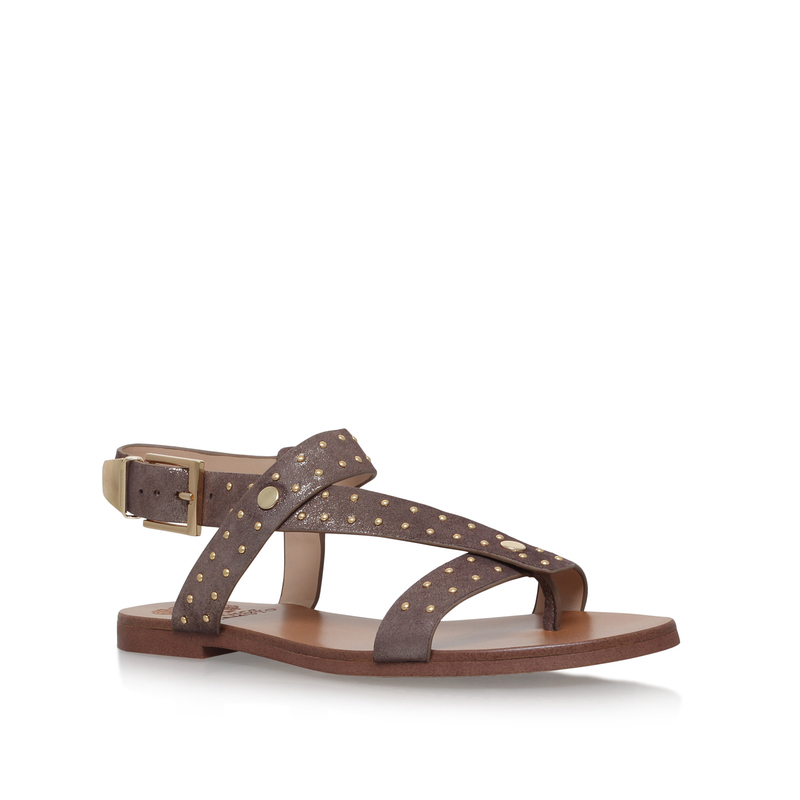 Crossed over at the ankle, this cool style secures with a simple buckle.